As you are planning your school trip to the Los Angeles area, your students should visit the Los Angeles Zoo and Botanical Garden. The zoo opened on November 28, 1966. The location is home to more than 1,100 mammals, birds, amphibians, and reptiles. There is also a Botanical Garden collection that contains 800 different species of plants. The students will have the opportunity to participate in educational programs as part of the experience. Is your student group in search of a fun animal adventure? If so, the Los Angeles Zoo offers an interactive experience which is known as Zoopendous Overnights. During the program, the students will have the opportunity to take a tour of the zoo after dark, enjoy a pizza/salad feast, and take part in hands-on animal activities. The group will fall asleep to the sound of beastly bedtime stories. The next morning, the students will enjoy a delicious continental breakfast as they interact with some of the zoo’s ambassadors. 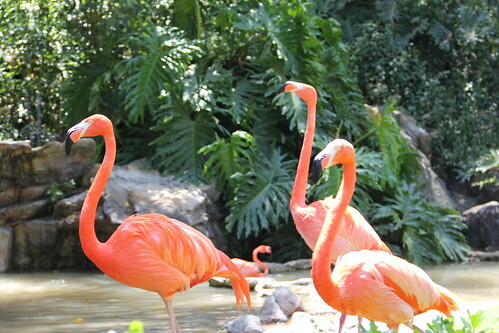 The Los Angeles Zoo has a variety of fascinating animals for the student group to explore. You will find creatures such as the golden poison dart frog, the giant Chinese salamander, and the giant marine toad in the amphibian classification. There are also a variety of birds such as the cassowary, the condor, the East African grey-crowned crane, and the white-faced whistling eagle. The zoo has a variety of interesting plants for students to examine during the visit. The group will find California wildflowers, great grasses, parasitic plants, and island species. The California wildflowers are available to enjoy during the spring.